Through safe pharmacology sedation dentistry is possible. Dr. Nugent treats anxious patients and often accomplishes dental work in one or two visits that may have required many more visits without it. Nitrous oxide and oral sedation are the two sedation techniques that Dr. Nugent uses at his office. Sedation with nitrous oxide, more commonly known as laughing gas, decreases anxiety and promotes relaxation while you remain conscious. 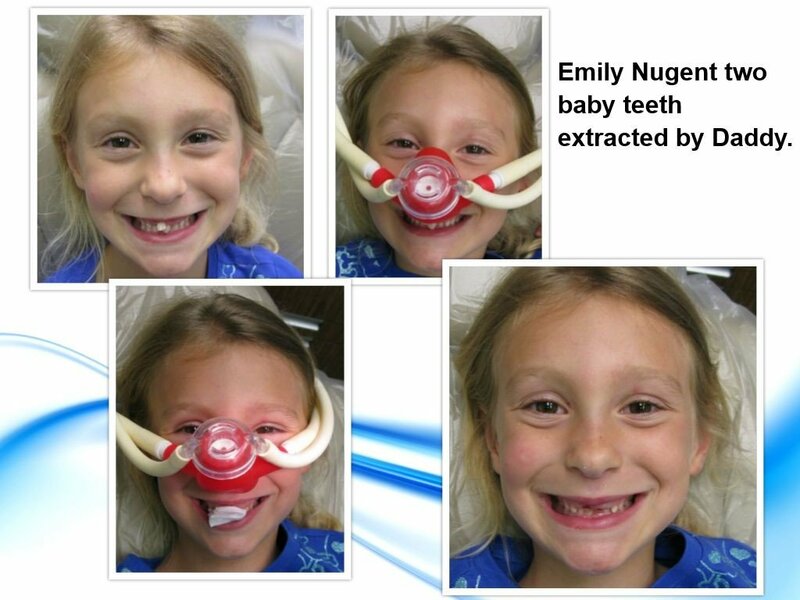 Nitrous oxide and oxygen are mixed together and then inhaled through a nose piece while the dental procedure is being performed. The nitrous oxide produces sensations of relaxation, and a comfortable, warm-all-over feeling. Laughing gas is safe, effective, and non-invasive. A great perk of nitrous oxide is that after the dental procedure Dr. Nugent has you inhale 100% oxygen which flushes out the nitrous oxide. You are no longer sedated and can drive yourself home. For patients with severe anxiety Dr. Nugent offers oral sedation. Patients take pills at the dental office. Once you start to feel sleep you will be escorted to the dental chair. There Dr. Nugent will let you lie down and relax more as the medication works. Then nitrous oxide will be placed and Dr. Nugent will start the dentistry. Your blood pressure, pulse and oxygen saturation will be continuously monitored throughout the procedure. Overcome Fear and Anxiety: Most patients who suffer from dental fear delay treatment and avoid dental offices as much as possible. 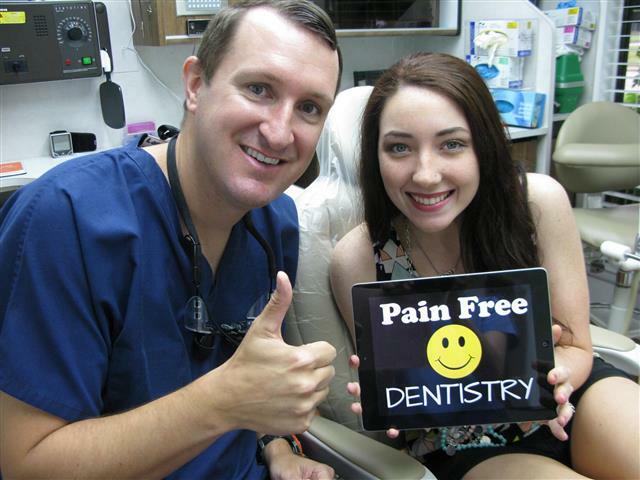 With dental sedation, patients feel more relaxed and free from stress as Dr. Nugent performs the actual procedure. Furthermore, amnesia is a side effect of dental sedation. Most patients report they do not remember their dental appointment. League City Texas residents turn to Dr. Nugent for his sedation dentistry options. With gentle pharmacology help patients are able to receive the dentistry they would otherwise avoid. Be relaxed at the dental office with sedation dentistry.